This weekend we have only one party. It will be on Sunday at the Giant Umbrella (Understory Layer), where we’ll get the chance to ask about Spike, and we might even get an answer after the messages get delivered. The most awesome thing about it all is that everyone who takes part in this event will get a really awesome Spike action figure. I am totally going to Edmarka’s party… how about you? 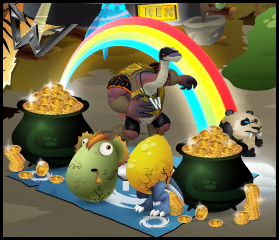 Weekend Parties – 2x Egg Hunt! 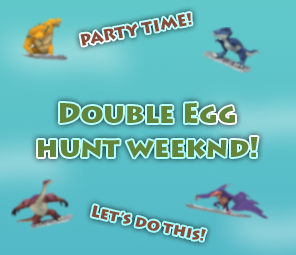 This week, we’re having a Double Egg Hunt weekend! We’re starting off first with our Friday the 13th party, where we’ll first have an egg hunt, and then end up at Lizard Lounge. 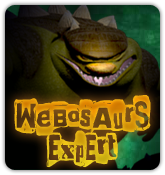 Devo and Mio will be handing out coin codes for dinos who tell their spookiest stories. Then, we’re partying again on Sunday with our second hunt! This one will be a funny prize, and will end up at the Giant Umbrella in Understory Layer (can’t get there yet? 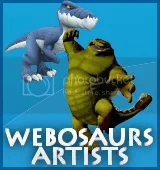 Follow Webosaurs Cheats’ Understory Layer guide!) for a little feast party. 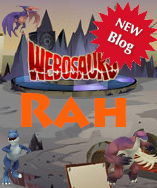 Comments Off on Weekend Parties – 2x Egg Hunt!